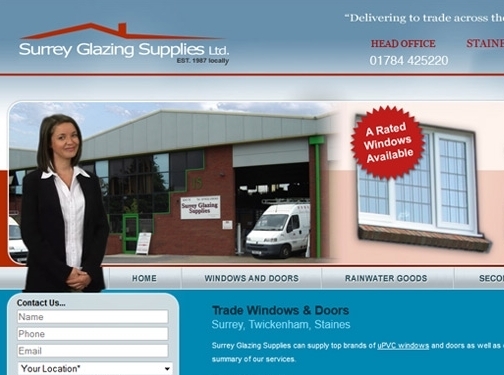 Surrey Glazing Supplies are a professional provider of quality guttering, fascias, soffits, doors and glazing services throughout Twickenham, Hounslow, Staines and the surrounding area of Surrey. Established since 1987 they are experts in the industry and can provide information and recommendations and the right product for your property. UK (London) baesd company - established in 1987 - providing glazing, guttering, fascias and soffits products / services. Website includes details of services provided, pricing, work examples, details of business premises, full company contact details including company registration number.